We know you’re busy, so we made it easy for you. Schedule your appointment here! Teeth that have been compromised over a lifetime with large fillings often need full coverage (crown) for predictable long-term success. CEREC crowns (complete in one visit), porcelain-on-gold, porcelain-on-zirconium, or cast gold are all commonly used materials. CEREC is a revolutionary, state-of-the-art technology that allows beautiful, strong crowns as well as inlays, onlays, or veneers to be created in the office in “one visit.” This not only saves you time but also the need for repeatedly getting “numbed;” there are no gooey impressions or temporaries. 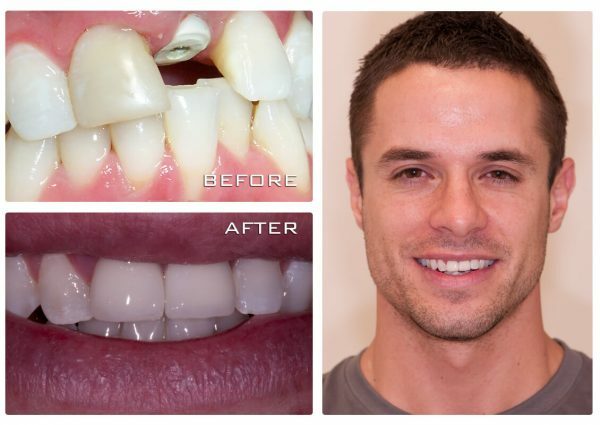 Dr. McCoy has been using this exciting technology since 2005 and is impressed with every restoration created with this system. It’s truly a fascinating service that we know you will be impressed by.